Is there a new baby on the way? It’s time to celebrate! It may start with hugs, laughs and congratulations…but then you have to find the perfect gift. One that’s thoughtful, unique and useful. We’ve rounded up all our best baby shower gifts, from the practical—to the adorable, that every mom-to-be will love. Gather your girlfriends, cut the cake and feast your eyes on these cute baby shower gift ideas for new moms. 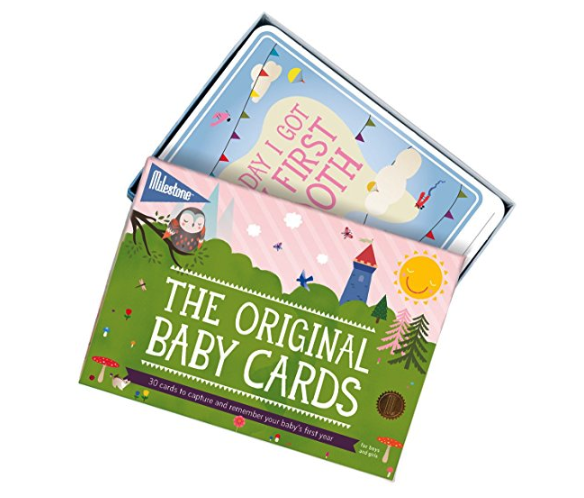 Snap a photo of baby with these beautiful illustrated cards to keep track of every big milestone; from smiling to crawling. 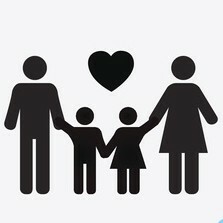 At the end of the year, mom and dad can put the pics together to make a cool photo book. 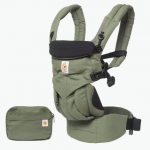 If a new mom needs just one baby carrier, the Ergo Omni 360 is the it. The Omni will take her from newborn to 36 months, no insert needed. 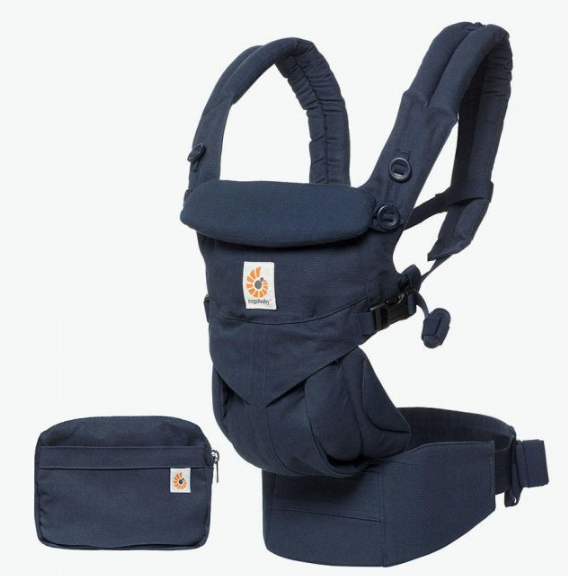 The custom fit options means it will fit any body type, from petite to larger, and with multiple carry positions available, she’ll be able to carry baby pretty much anywhere, and any way that she needs to. 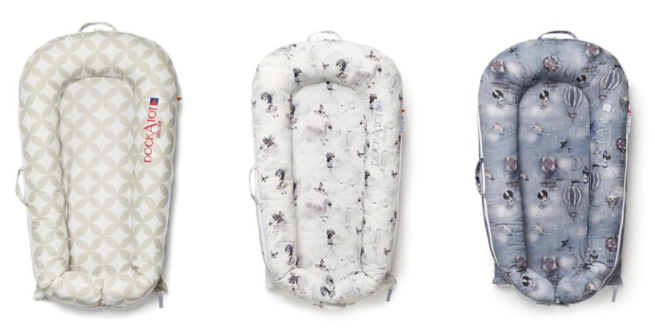 DockATot is and has been a baby product favorite of parents for years. It gives little ones the soft, snug feeling they love. But what’s really cool about DockATot is its multiple uses. You can use it for cuddling, play, tummy time, supervised sleep, even diaper changes in a pinch. New moms will love how versatile this product is! Help make baby’s first public appearance a stylish one with this Skip Hop four-piece 100% cotton set, which includes a short-sleeved bodysuit, knit cap, jersey cardigan and coordinating footed leggings. It’s machine washable, and the print comes in gender-neutral gray (shown), pink, and blue. 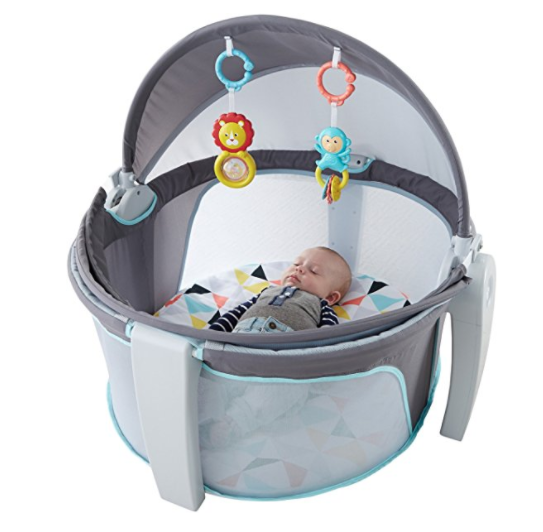 This cool on-the go baby dome serves 2 functions in 1: it’s both a play space and a comfy napping spot. 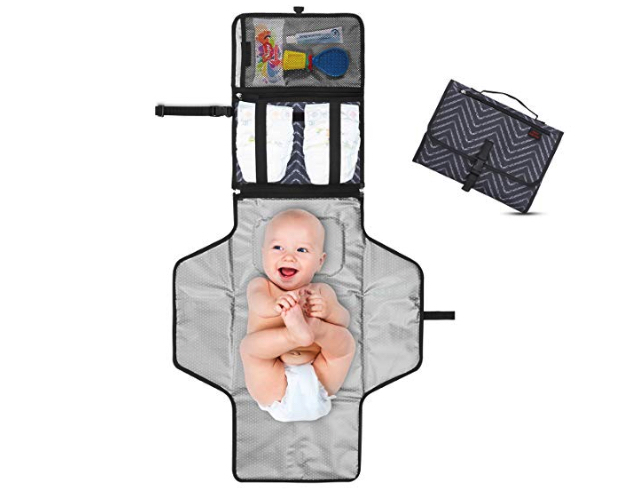 It’s perfect for when you and baby are on the go! The canopy fabric has UPF20 protection which provides a UV shield. Can be used indoors or out, and folds flat, with handles for easy take-along. Moms love the convenience of this multi-purpose dome. The BabyShusher is a soothing sleep miracle for babies. The Shusher uses an ancient, but doctor-tested and approved rhythmic shushing technique to help soothe a fussy baby. Every new mom needs some shut eye. 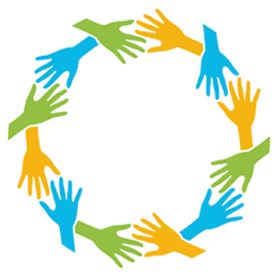 The Shusher can help her get some much needed sleep for herself and her baby! 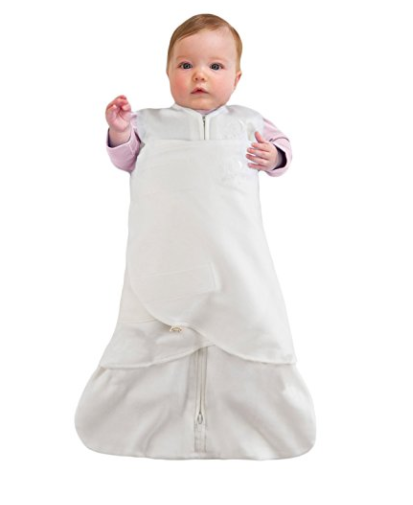 HALO SleepSack replaces loose blankets in the crib that can cover baby’s face and interfere with breathing. In addition to helping baby sleep safer, it helps him sleep better, too. It’s a 3-way adjustable swaddle that adjusts to an individual baby’s sleep style. Swaddle arms in, hands-to-face, one or both arms out to ensure baby’s best sleep. And a good sleep is one of those new baby gifts every mom wants. 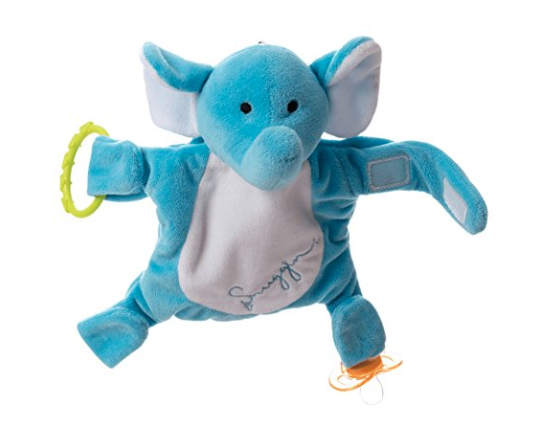 The Snuggin makes sleep more restful by keeping baby’s pacifier nearby and easy to locate. No more chasing after dropped toys! The Snuggin is super handy, with internal storage that makes it easy to bring extra binkies, snacks, and baby wipes with you on the go. This is a great shower gift! 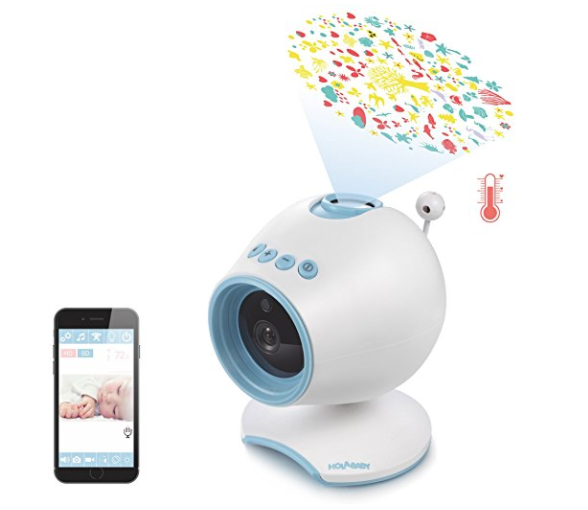 The HOLABABY is not just a great video baby monitor, but it’s a baby night light projector too! 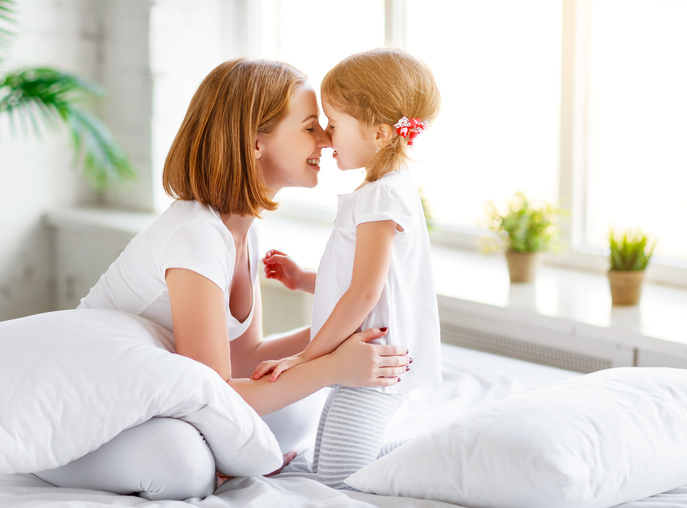 The setup is relatively easy, and you get 24/7 video monitoring of baby with night vision for peace of mind, day or night. You can also speak, sing or talk to baby. The multi-color night light warmly lights the nursery and plays lullabies or nature sounds to soothe baby to sleep. 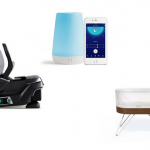 These two features can be game-changers for new parents! 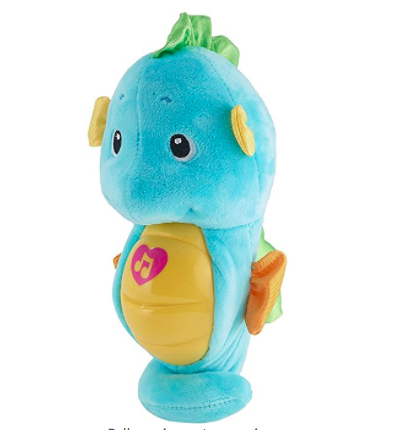 The Soothe and Glow Seahorse a fun nighttime friend for baby. When the Seahorse is cuddled, his belly gently glows and he plays over 5 minutes of music and ocean sounds. The music is comprised of 8 gentle lullabies and classical selections, along with soothing sounds of the sea. After 5 minutes, the sounds and lights will gently fade out so as not to disturb baby as they sleep. The Bumbo Multi Seat will see a baby through to the toddler stage with a seat that grows with them. 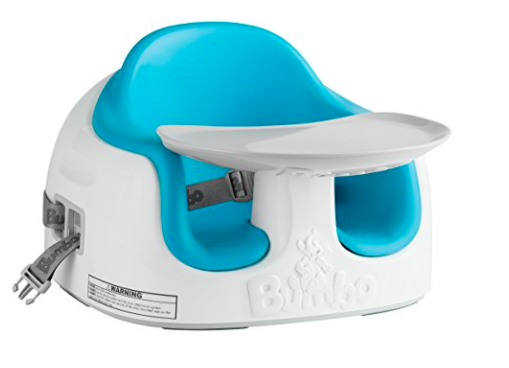 This Bumbo comes with attachment straps that easily convert from a floor seat to a booster seat, so parents can begin enjoying key developmental milestones from feeding to playtime as soon as their child can starts to sit. The seat’s foam pad cushions baby and can be removed to create more room as they grow. The removable tray attaches to the back of the Multi Seat for easy transport and storage. 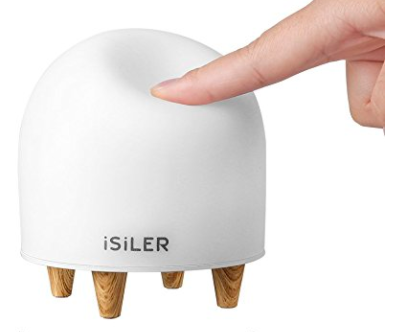 The iSiler night light cycles through six colors of red, orange, yellow, green, blue and purple, creating a dreamy fairy tale effect for baby. Also, it has a dim and strong yellow light that deliver a glare-free glow. Simply place this light in a child’s room to help them get to sleep. The sleep mode will automatically turn the light off after 30 minutes. The Jellyfish cover is made from food-grade silicone and is soft to the touch. 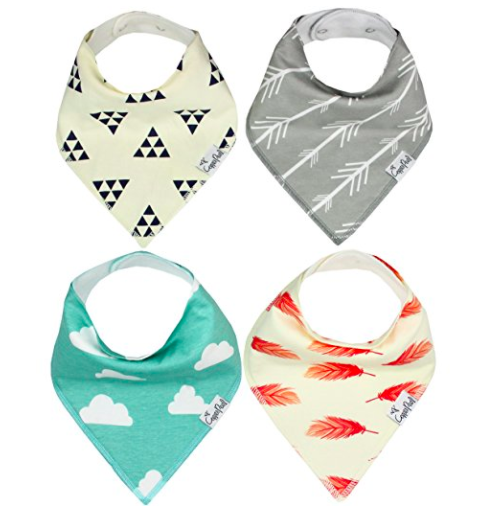 Finally, baby drool bibs that are trendy and functional. Baby will have the cutest fashion accessory around, while keeping his/her clothes clean and dry from drool, especially when teething. 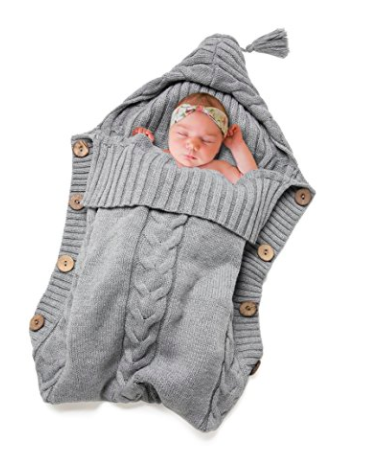 This adorable knit MastersViolin swaddle blanket is cute enough for a photo shoot! It’s suitable for babies from 0-12 months old. All of the buttons are fixed (no holes) for baby’s safety. It’s a great little swaddle blanket – very soft, warm and cozy for baby. Moms love this portable diaper change station that comes with a detachable padded changing mat. It’s wipeable, easy to clean, waterproof, and keeps baby away from dirty surfaces and germs. The large mesh and zippered pockets are designed to have everything handy; diapers, wipes, creams, baby oil or small toys for the little one. SHARE the best baby shower gift ideas on Facebook and Pinterest by clicking the buttons below.